Shiva Prasad Dhakal hails from the Gorkha district, the hilly region of western Nepal. The Ganesh Himal, part of the chain of the Himalayas, can be seen from his village. He completed his school education in his village and came to Kathmandu for his higher education. While studying he started working in the trekking business, eventually becoming a licensed holder ‘City Tour Guide’. 15 years of experience in the trekking industry of Nepal has familiarized him with the challenges and obstacles the Nepalese face in this sector, so he decied to open and run Himkala Adventure Pvt. Ltd. with a new vision and working style. Shiva is extremeley excited to bring his experience and passion for touring and trekking Nepal to travelers from around the world. 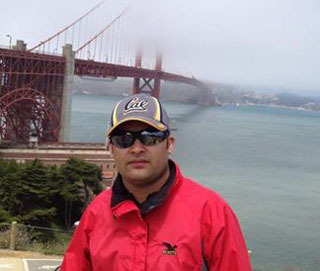 Bheshraj Adhikari has studied tourism management and he has been working in tourism sector for 10 years. Now, he is working to Himkala Adventure with great passion. He is also from Gorkha, the western part of Nepal. He is very skillfull in the way of planning things and its execution. He is very experienced and prudent to tackle the problem. Because of his presentation, interpersonal skill , good command in English ,and caliber,we easily accomplish the task. 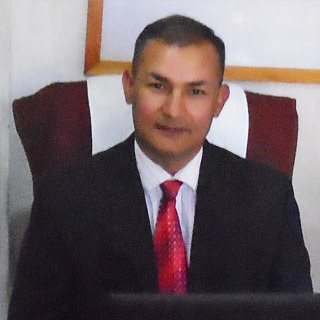 Deepak Dhakal is from Gorkha, Namjung V.D.C. - ward no. 8, completed Master’s Degree in Sociology from Tribhuvan University. He had keen interest in tourism from the very beginning and did many trekking/ hiking here in Nepal. He had immigrated to U.S. since 2012 A.D. and now living in New York, Queensland. He has been promoting and doing marketing to Himkala Adventure from U.S. Because he played a vital role from there, we are able to hike from our status and going to get cherished goal. 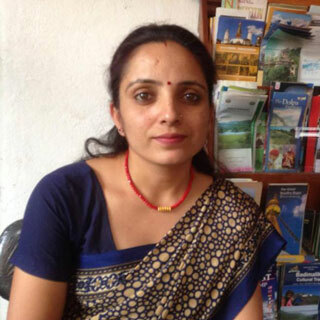 Sharmila Adhikari is a gentle lady with her proficiency in management, a deserving personality co-ordinating everything in Himkala Adventure. She began her career offering tourism related services like interacting trekkers, travelers from different nationalities and planning their treks and tours. She works now with Himkala Adventure Pvt. Ltd. with great dedication. She is from Gorkha,Bungkot , from where the landscape of lush , green valley of BudhiGandaki River seems amazing. It is the place where the mega Budhi Gandaki hydro project is at work. 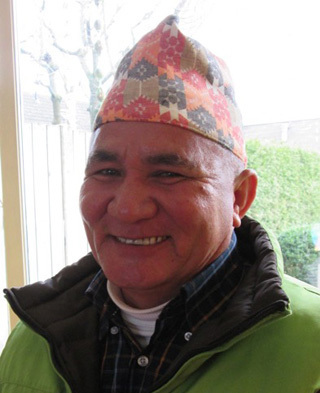 After Shiva completed his basic education, he came to Kathmandu for his higher studies. To fund his education he became a porter. Shiva has since grown from porter to tour guide in the past 15 years and has had great fun in trekking. He cherises the opportunity to exchange cultural experience with his guests. His exceptional English ability today is a result of years of practice and exposure to trekkers. Shiva was never shy to talk to the guests, because guests would always correct his words and sentences lovingly! Along with a Bachelor's Degree in English, Shiva also has Tour Guide Training from the Government Institution (NATHM). He has the highest license, a 'A' grade license. He has guided more than 1000 tourists from different nationalities in the UNESCO World Heritage Sites of Nepal, Pokhara and many more places. ShreeKrishna Lamichhane is also from Gorkha. He is very cordial and friendly in nature. He is ‘A’ one guide not only in English but also in Spanish. Spanish guests recommend him praising him as an eloquent speaker. He has done Master’s Degree in Science but has all round knowledge in history, culture, archaeology, iconography, politics, forestry and others. Himkala has worked with him since long and highly impressed with his amiable nature. 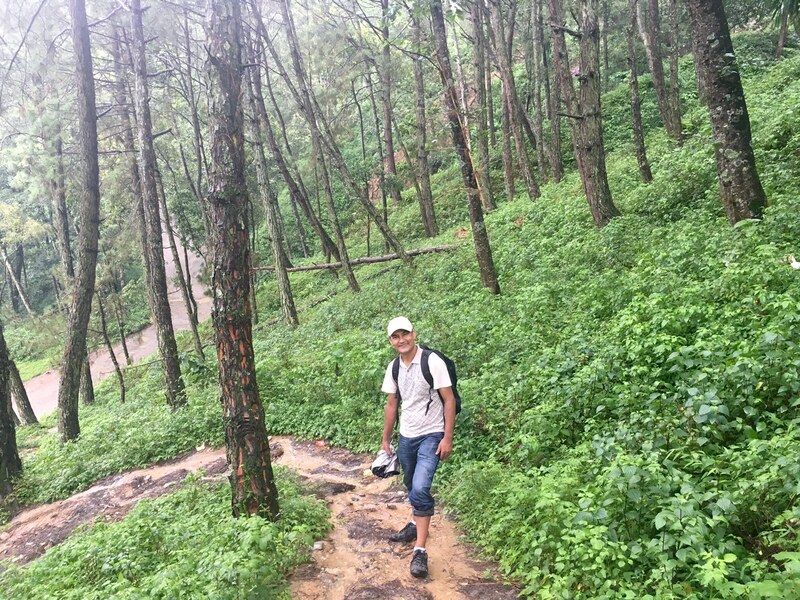 Som Bahadur Rimal is physically smart, experienced trekking guide from Nuwakot. He is the senior guide in terms of his maturity that he has spent in tourism sector. In these days, he is still as active as, as spick and span as the Gorkha soldier man. He laughs at young aged guys if anyone says trekking is difficult and full of challenges. He is still robust in body and does trekking from Himkala in the same spirit as he used to do in his youthful days. Som Bahadur has been a great resource to Himkala adventure Pvt. Ltd. because he knows almost everything about trekking, old and newly opened routes, the best view points, the hills, the crevasses and the precautions one should take in particular places. Som Bahadur Rimal, as a guardian, has been inspecting every detail and nurturing Himkala from his level best. Himkala appreciates his praiseworthy trekking activities and salutes him the service he has been offering. Indra K.C. is an experienced, dedicated and humble mountain guide.Himkala would like to say him Snow Artist because he plays a game in snowy mountains in each season with many different nationalities in his hometown area at Khumbu Region. He is an indigenous inhabitant of Solukhumbu district. He often goes to an expedition, long route trekking, in restricted areas and difficult trekking passes. Hearing adventurous stories of his life, any adventure lover gets inspiration and would like to begin his/her journey very soon. He has fallen in the crevasse, fractures his bones, half buried his body in the snow, but like any Sherpa of the same region, he has mastered his skill and has become the true snow artist. We feel glory to find such climber/trekker for Himkala. I am a license holder trekking guide from Nepal Academy of Tourism and Hotel Management (NATHM). I have been doing trekking as a guide for 12 years. I did my first trek as a porter from Lukla to Everest Base Camp. I am originally from Khotang- Bakachol - 4, eastern part of Nepal. I have done hiking, short trekking, all the popular trekking routes like Annapurna Base Camp, High Camp, newly opened routes and high altitude passes. Trekking is my passion. I can speak English fluently. Now, I am very happy to join Himkala Adventure and be a part of this company. Namaste!!! 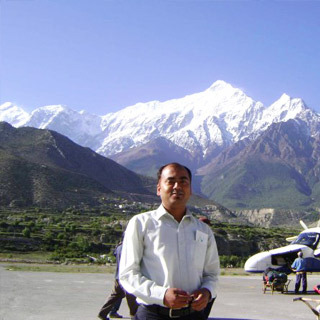 Sayuj Ranjit is an experienced trekking guide in the tourism industry in Nepal. 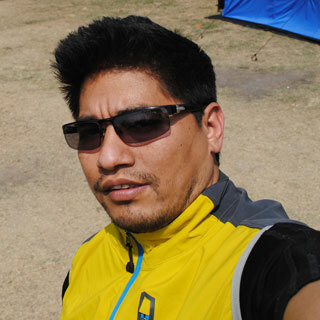 It has been a decade that he has been guiding to different nationals from different trekking agencies in Kathmandu. Sayuj is originally from Kathmandu valley, from Newar ethnicity which is rich in cultural things and festivities. He has trekked almost all the trekking trails of Nepal duo old and new. He is very friendly, gentle and approachable to everybody. He realizes his duty and responsibility in everything he has to be. He is matured and successful guide. He has secured ‘A’ grade. More than that he owns a big mountain bike shop of his own and he is himself a cyclist. That is his passion he loves to be in the ridges and the hidden trails cycling with friends and guests. One could explore Kathmandu, inner roads and the scenic Himalaya with Sayuj. 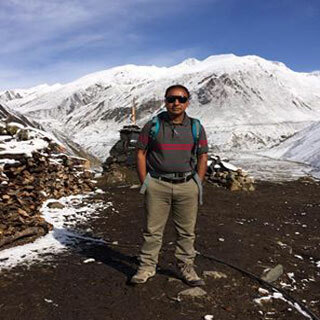 Tour/Trekking Guide/English & French Shaligram Subedi is multi-talented tourism personality with his fluency in both languages in English and French. 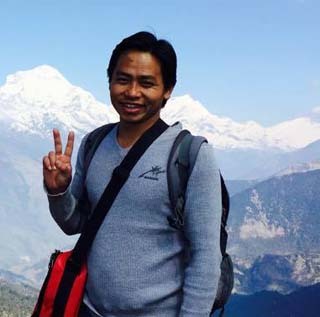 He was trained as a City tour guide and trekking guide from Nepal Academy of Tourism and Hotel Management (NATHM), Rabi Bhawan, Kathmandu, Nepal. 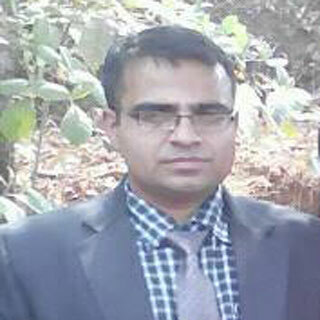 He is ‘A’ grade guide in Nepal. He is very professional, trained. He has knack of guiding as it has been 15 years in this field mostly being with very big groups as a group leader. Shaligram works with Himkala Adventure. Shaligram is from Chitwan, near to Chitwan National Park. He is very hard working, sincere and able to analyze the situation either in the Himalayan atmosphere or in the urban areas. He has been trained for First Aid Training thrice especially how to handle the situation in the time someone gets sick due to Mountain sickness. 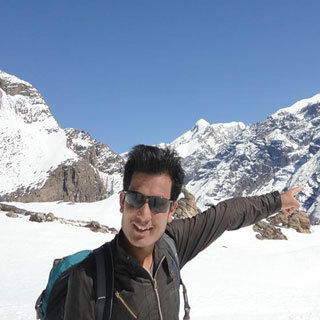 Sundar Thapa is young, smart, fluent trekking guide. Anyone can get impressed with his simplicity and a decent way of presentation. He is very cordial and loving. He is also trained from NATHM and achieved ‘A ‘Grade. 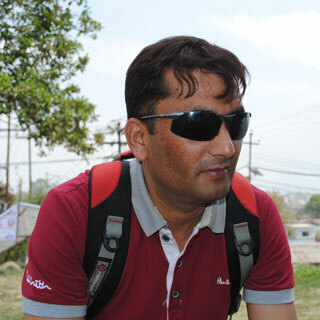 He is one of the best selling guides in Kathmandu, Nepal. Sundar has originally come from Nuwakot, the neighboring district of Kathmandu. As he came from village, he used to trek in the hills in his childhood. Mostly, he began trekking from the Langtang trekking, which is close to Nuwakot. Sundar has guided many tourists from Himkala Adventure.